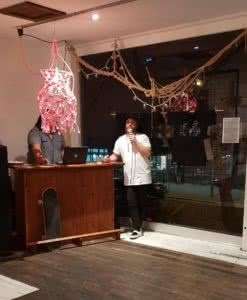 On Friday 14 September, YWCA Canberra’s Youth Engagement team launched the clothing line that came out of this year’s 360 Initiative at Lonsdale Street Roasters in Braddon. 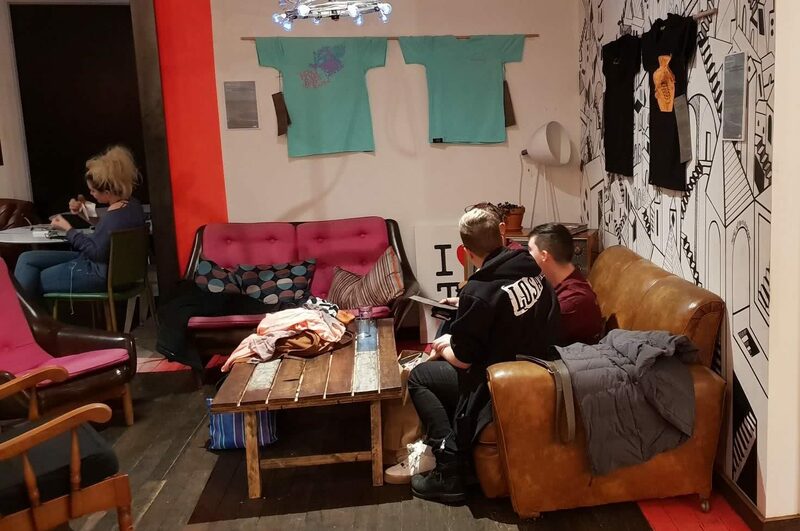 The 360 Initiative is a unique program that facilitates and provides a platform for young people to start and manage their own clothing brand. 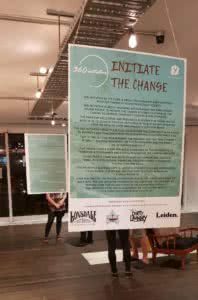 Another purpose of the 360 Initiative is to spread awareness about social justice issues and to ‘initiate the change’ by developing provocative designs that provoke conversation. The theme for this year’s program is about preserving the environment. The walls of Lonsdale Street Roasters were decorated by displays of the five unique designs, each of which commented on the importance of taking care of our planet. Some designs focused on the negative use of plastics, while others predicted the future of needing to find a new planet should society not follow more sustainable practices. The display of the t-shirts was complimented by information about the individual designs, including the name of the artist, the purpose of the design, and a very thorough breakdown of the costing of each t-shirt, where the materials were sourced and the conditions of the workers who made the t-shirts. The t-shirts were available to purchase on the night and continue to be for sale at Trilogy Store Canberra Centre, or by filling out this order form and getting in contact with Tim Clement. 100 per cent of the profits from the t-shirts will be returned to the 360 Initiative in preparation for next year’s clothing line. The 360 Initiative started in the Autumn School Holiday program, when the Youth Engagement team and the Clubhouse hosted the four day intensive program. The course covered the many aspects of what is involved in starting a clothing brand. Including identifying gaps in the market, the need for a business plan, who the target audience is, ethical sourcing of materials, different types of printing, visiting local clothing businesses, starting to develop designs, and more. The Clubhouse is very proud of the talent and effort of the young people involved and we are very excited to see what comes out of next year’s 360 Initiative!